"The History Of Money - What You Must Know About Your Money"
"What You Must Know About The History of Money"
When you understand the history of money; what is going on in the world today with the price of Gold, the value of the U.S. and Canadian Dollars can all be understood rather easily. What is the difference between "currency" and "money". Ah-hah! Didn't think there was one did you? There is! Big difference, real big! Currency is just a medium of exchange. It has no real value. Money, on the other hand, has value all by itself. For example, gold coins have been a form of money for centuries, same with silver coins. Money has value AND is a medium of exchange. Well, think of it this way, you don't really think the paper that a $50 dollar bill is printed on is worth $50 bucks right? The dollars that you and I and everyone has in our pockets, wallets and purses right now are really just a receipt for "value stored somewhere else". Our dollars used to represent some value stored somewhere else. If you had $50 in your pocket some bank somewhere should have $50 worth of gold or something sitting in a vault. Gold and silver have been used as a form of currency (a medium of exchange) for thousands of years. Yes, thousands. But they really got popular as a form of money when the Greeks in Athens starting minting them into coins of equal weight and size. This made trading for goods and services much easier and their use as a form of currency flourished. But then Athens got involved in a long drawn-out war. And they decided that if they were going to fund the war they needed more gold coins. So they started mixing copper with the gold. This magically produced more currency but the value of the gold coins (money) decreased because it was now only 50% gold. This process began to change their gold coins from "money" into a "currency" (a medium of exchange but no real true value all by itself). Then the Romans got powerful and took over from the guys in Athens as the super power of the time. And the Romans decided to fight a few wars. To fund their wars they started shaving off the sides of their gold coins and mixing things like copper into their gold. They did this as an easy way to produce more currency. History repeated itself and the value of their currency decreased rapidly. The Romans were really advanced because they invented things like welfare and "public works". With all this war spending and welfare spending and even government public works projects, they had to keep mixing higher and higher amounts of copper into their gold to produce enough currency to pay for everything. As the currency became "worthless" the government fixed the costs of thing like bread and butter so the prices would be stable. But merchants ended up quickly closing up shops because they couldn't sell their goods at a profit with such artificial controls in place. And the first documented case of hyperinflation erupted. Michael Maloney has a great line in his book, Guide to Investing in Gold and Silver, "...a pound of gold was worth 50,000 denari in the year A.D. 301, but by mid-century was worth 2.12 billion denarii. That means the price of gold rose 42,400 times in fifty or so years." Prices of "stuff" went up because the powers at be created more and more currency that was based on no real value. The Romans ended up dumping their economic system and went to a barter system. The first central bank as we know it was formed in 1964. King William borrowed and borrowed and spent and spent all the taxpayer money he could get his hands on. At the time "goldsmiths" held gold and handed out receipts for gold deposits. You then used these receipts in the market to buy and sell goods because it was easier than carrying around gold pieces. These goldsmiths didn't really want to lend the King any more money because he just kept spending it. Well, King William decides to chat with the Bank of England and get them to create "bank notes" that looked exactly the same as the ones that were backed by real gold coin. The bank then lent the money to the government and presto... the government no longer needed more tax money to raise funds. They just made up some "Treasury Bonds" and handed them over to the Bank of England which then gave the government these very official looking bank notes. And because these new bank notes looked the same as the ones backed by real gold AND they came from a real bank no one questioned their worth. This actually worked for a while until there was a bank run on the Bank of England and there wasn't enough coin in the vaults to honour all the notes that were being turned in. The government of England stepped in and passed laws exempting the Bank of England from having to honour its contract to return gold to people with receipts for it. If we skip ahead a few more years you'll find that good old George Washington had the same problem on his hands. The currency (not money, currency) at the time was "the Continental". And to fund the American Revolution (that's another war - is there a theme here?) Continentals were being printed constantly. In 1775, a Continental was worth 1 Gold Dollar. In 1779, a Continental was worth less than a penny. The prices of things went up because the value of the currency went down. The U.S. actually managed to rid their economy of using a "central bank" and "money printing" in the early 1800's. Somehow the influential bankers lost their grip and the U.S. economy went back to using money that was backed by gold. But by the 1900's a group of powerful bankers came up with the idea to reinstate a "central bank" and although it took a few years, in 1913 the "Federal Reserve" was born. And for a time, the U.S. Dollar was backed by gold held in the Federal Reserve. But by 1944, after many years at war (there's that theme again), governments around the world realized the U.S. had the majority of the world's gold because they were the ones with the factories building supplies for the war in Europe. And the U.S. was being paid in gold. By the end of the war, the governments around the world realized that the U.S. had about two-thirds of the entire supply of gold. They had to figure out a way to create a financial system with this in mind. So it was decided that all countries would "peg" their currency to the U.S. dollar and the U.S. dollar would be redeemable in gold to foreign banks. So the only currency that needed to be backed by gold was the U.S. dollar. And this worked because the U.S. just happened to have a lot of gold. This was a big deal. Real big. It meant foreign banks would now hold U.S. dollars in their vaults to back their local currencies. It was agreed that this was the best way to get the world's international trade working again. This left the U.S. in a very powerful position because there were no limits set to the amount of U.S. dollars that the U.S. could produce for itself! There were only limits on other foreign banks. Those banks had to have X number of U.S. dollars for every amount of their own currency they printed. But the U.S. could print all the dollars it wanted. This made it really easy for the U.S. to pay for things like budget deficits... it could literally just print money. And it was the only government that could do it. The U.S. went on to become a very powerful country. In 1971, after a big bout of spending in the 1960's for the Vietnam war (there's that "war" theme again) and France redeeming a lot of its currency for gold, the U.S. was in a bit of a pickle. There were needs for more currency but not enough gold to back it. So President Richard Nixon closed the "gold window" and the U.S. dollar was no longer convertible to gold. At that point, currencies all around the world, including the Canadian Dollar, were backed by paper money, the U.S. Dollar, that was backed by nothing. So take out that $20 bill from your pocket and look at it. Then realize that it is backed by nothing. Now, please understand this. We are not against the current monetary system. We just want to be aware of the "rules of the game" so that we can protect ourselves and build wealth within these rules. So what does this all mean to you? Ah! A lot. Stay tuned... we'll cover that in an upcoming article! 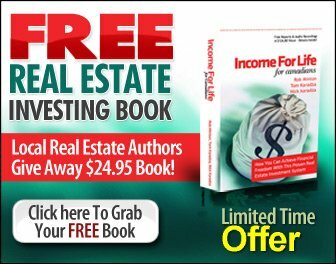 Return from The History of Money to The Real Estate Investing Guide by clicking here.